Kidnapping | Straight from the heart! 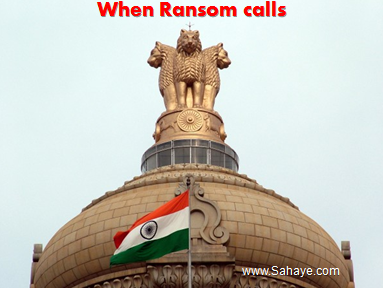 Why pay tax on a critical business expense such as Ransom? That’s right! In a landmark judgement by the High Court of MP, Ransom money was considered as a business expense allowable for a tax rabate! One day Khemchand Motilal Jain, went to buy tendu leaves from the forest, which is raw material for his Beedi manufacturing unit. On the way, he got abducted by the dreaded Raju Bhatnagar’s gang and had to pay over half a million rupees as ransom for his freedom. Jain filed Rs. 5.50 lacs ransom as “General expenses” for seeking tax rebate under Section 37 of the Income Tax Act, 1961 while filing his IT returns which obviously raised quite a controversy. 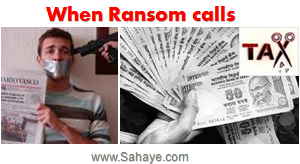 Kidnapping for ransom is an offence u/s 364 A of the Indian Penal Code (IPC), however the payment of ransom to secure the release of a kidnapped person is not an offense or prohibited by law. Jain was a whole time director of the business and the amount was towards his release and expediency. The amount paid was towards avoiding harassment, in this case saving the life of the Director and resume business operations. Such a judgement does restore faith in the Indian Judiciary system however, this has the potential to open flood gates to a whole lot of new issues. We know some tax payers could go to any limits to avoid paying money to the government. Perhaps a rise in misuse of the provision by staging false cases of kidnapping and other speed money arenas. Perhaps, paying a bribe can be challenged to be no different from paying Ransom and draws the same rebate. Perhaps, this becomes a new line of crime for some unemployed youth in the suburbs having a new “Business logic”. Maybe high profile criminals agree on wire transfers to foreign banks. Should the citizens be given tax benefits by the Government for the amounts paid in overcoming the lack of governance & peaceful existence ? What an Irony! Disclaimer: The above article is based on my interpretation and personal views on the cases mentioned. It is not intended to be read as facts or contempt of any court’s ruling and merely for sharing a viewpoint.